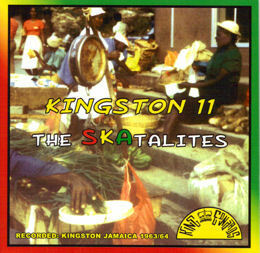 This is a nice collection of not so well known tracks by the Skatalites from 1963-1964. Produced by King Edwards. This would appear to be a new series of King Edwards CD's issued here in the UK. This is number 07 and the latest is Coconut Ska KECD 08 (June 2007) a various artists compilation which is also worth seeking out. The earlier CD's are fairly well known King Of Ska, Ska-Valution/Ska Ba Dip KECD01/02 and Vol.2 Ska-Lutations/Man About Ska-Town KECD03/04 both 2 Ska albums on one CD. These appear to have been reissued as separate CD's! Issued on King Edwards KECD 07.